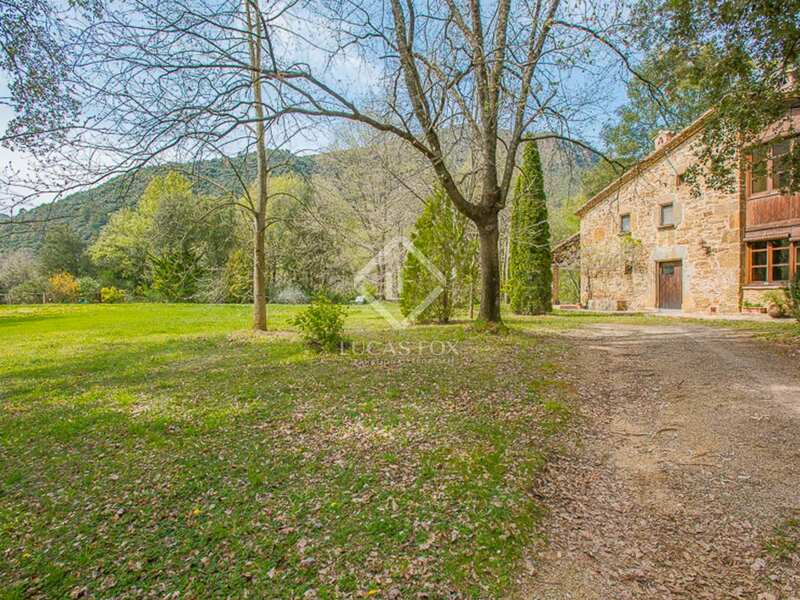 Idyllic eighteenth century stone masia, fully renovated in 1997 and located in a peaceful natural setting, 30 minutes from Girona City. 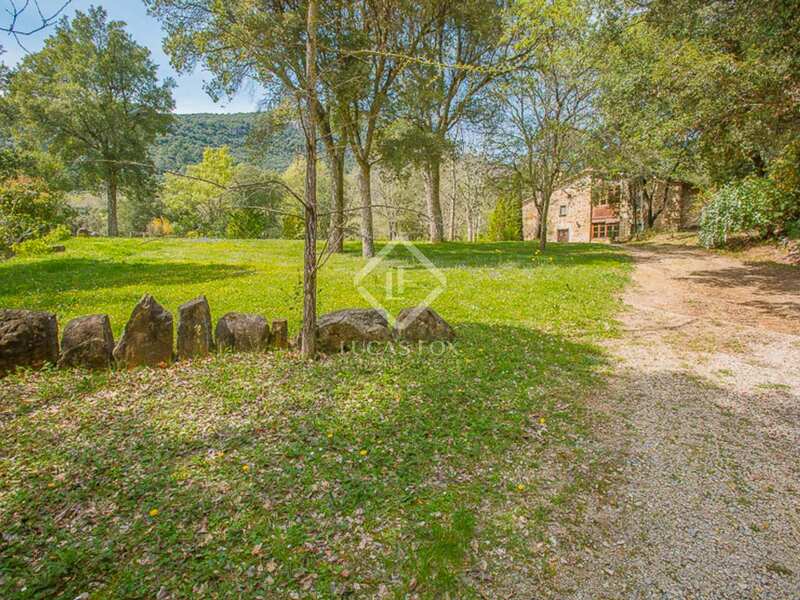 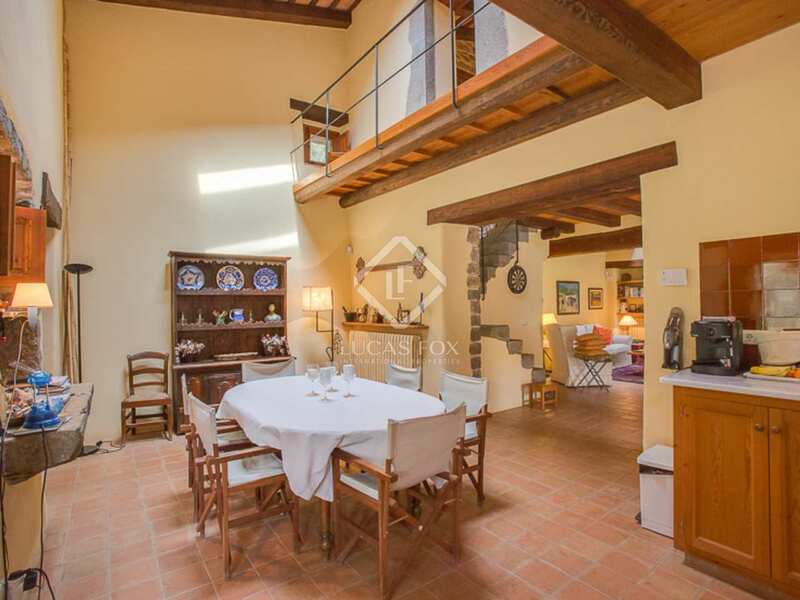 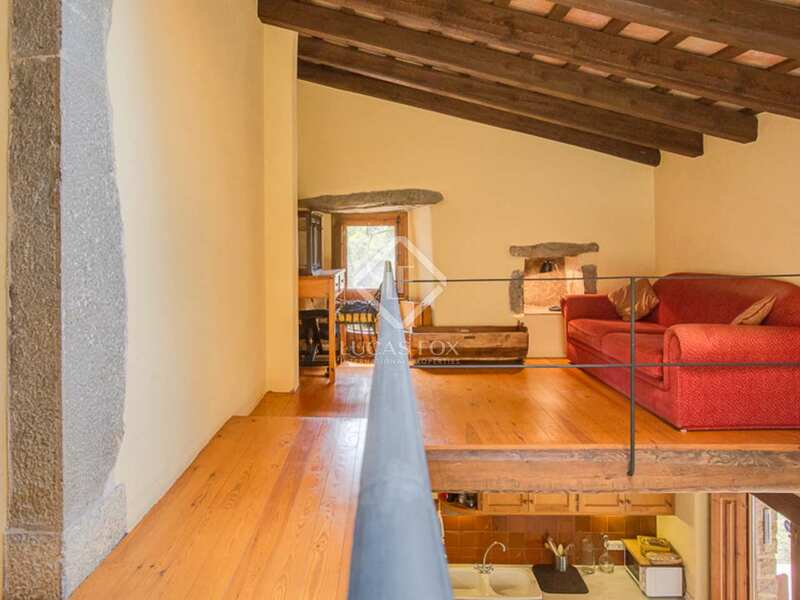 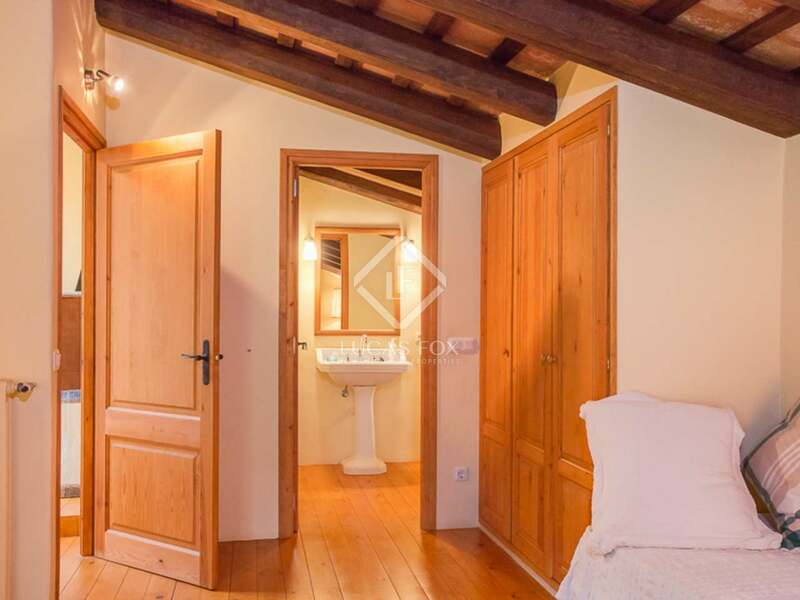 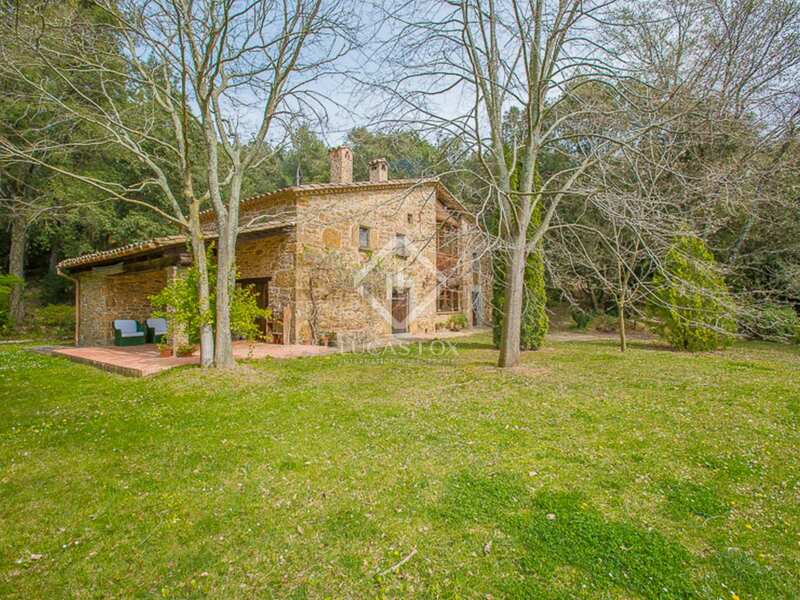 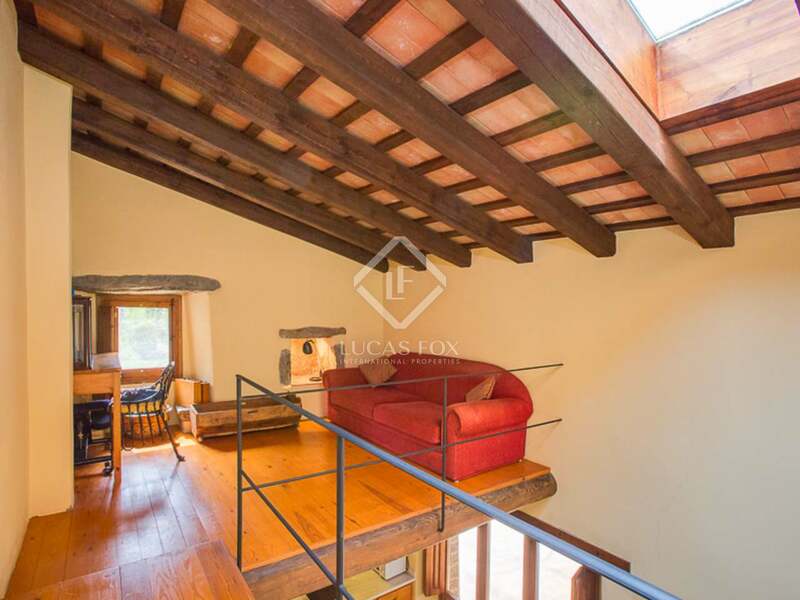 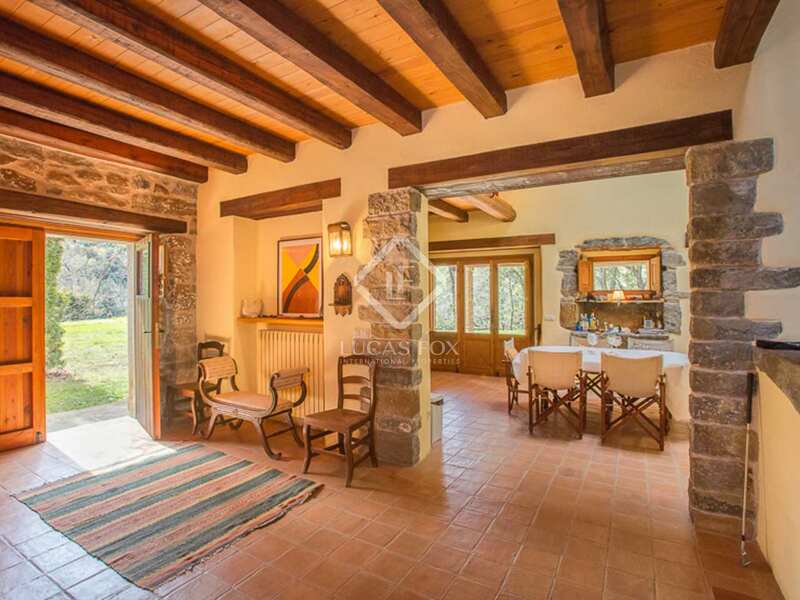 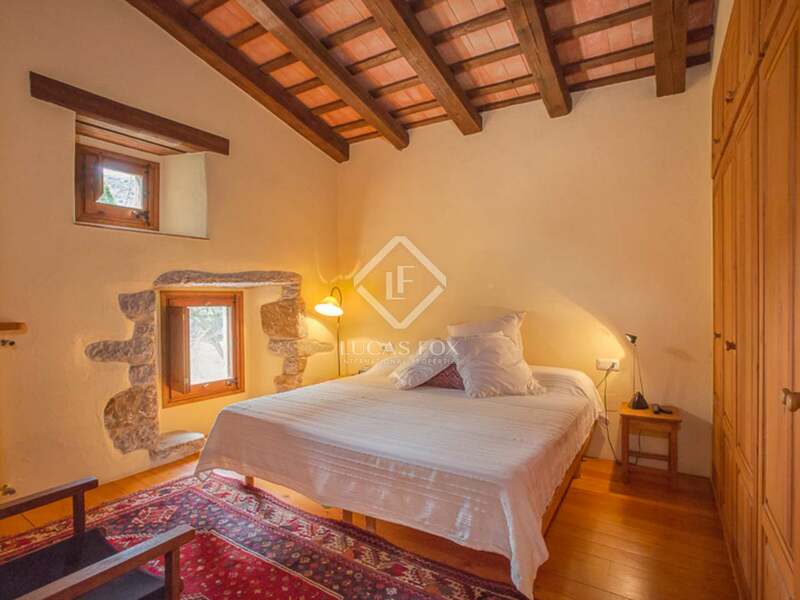 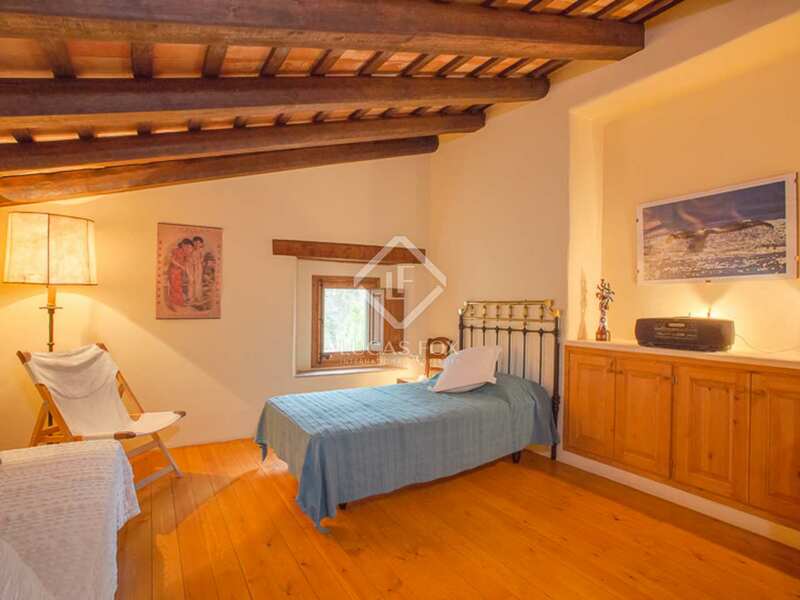 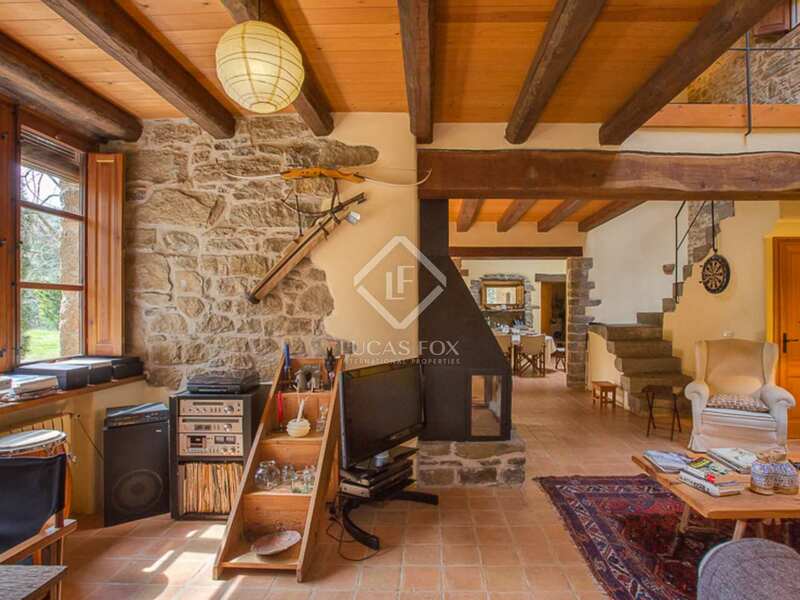 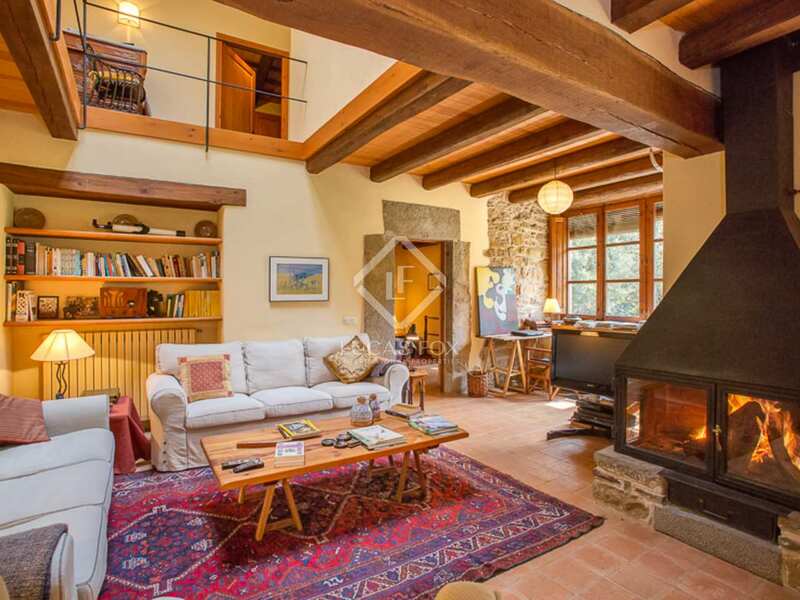 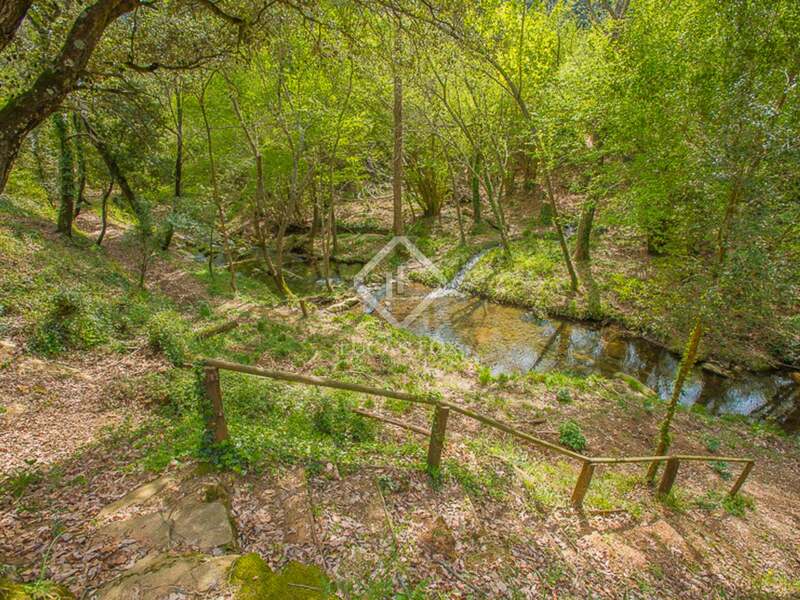 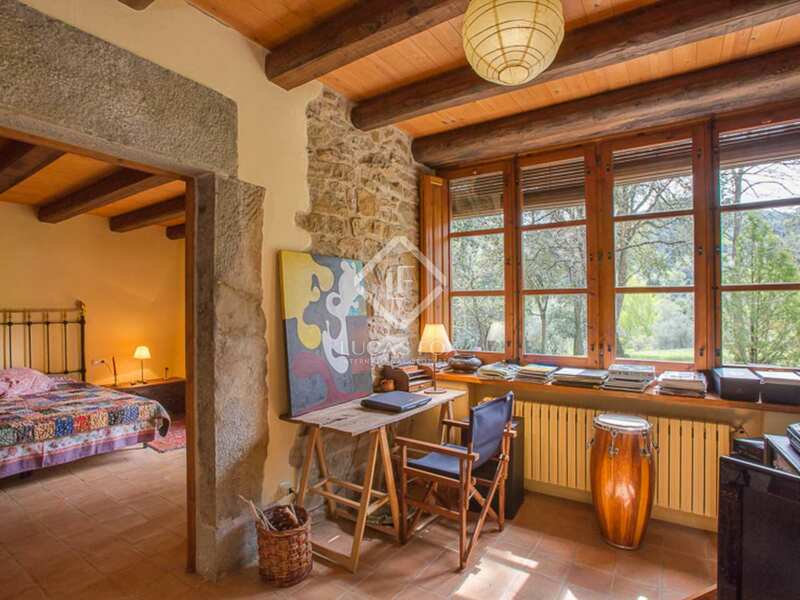 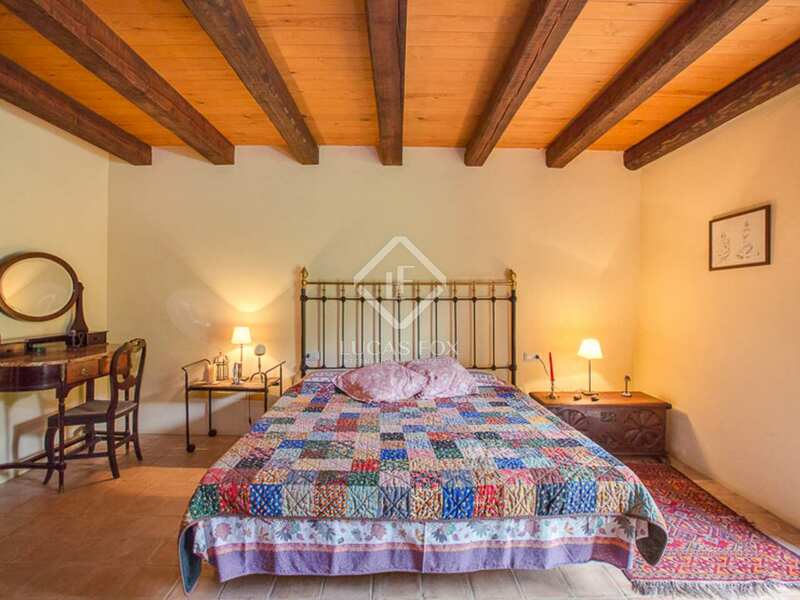 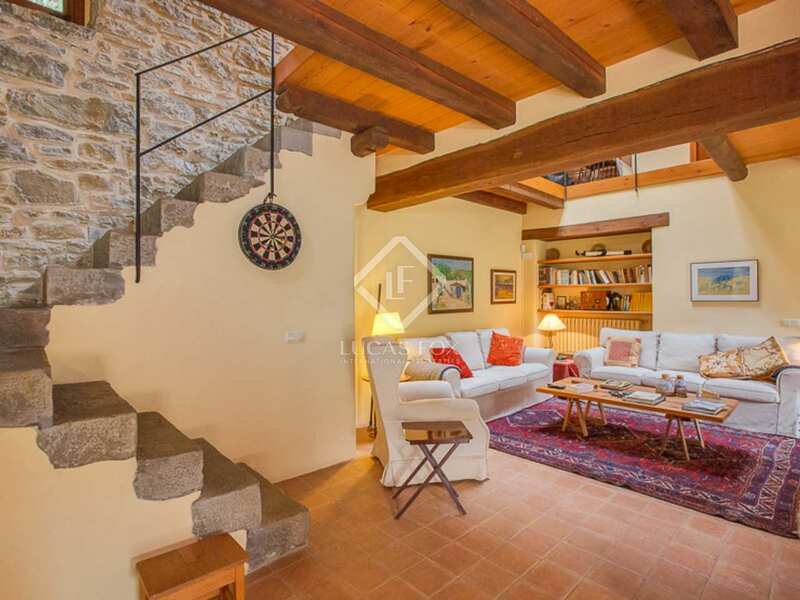 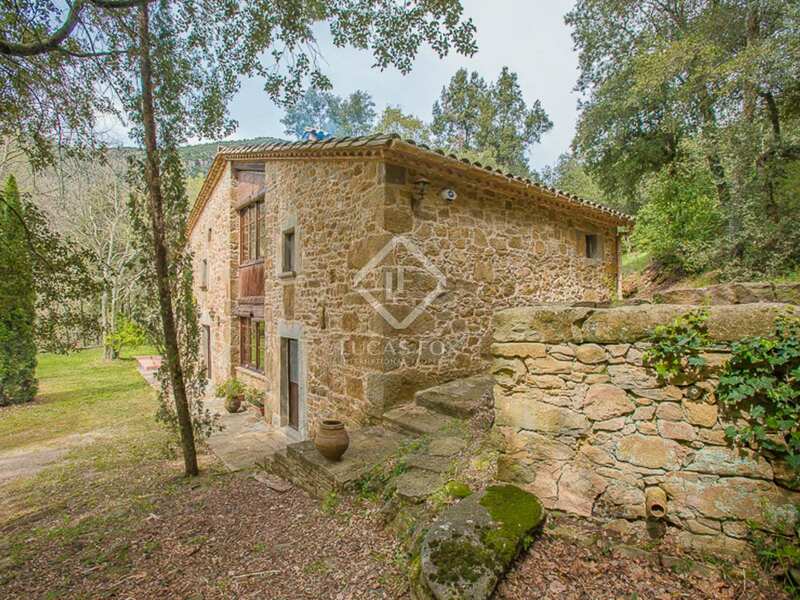 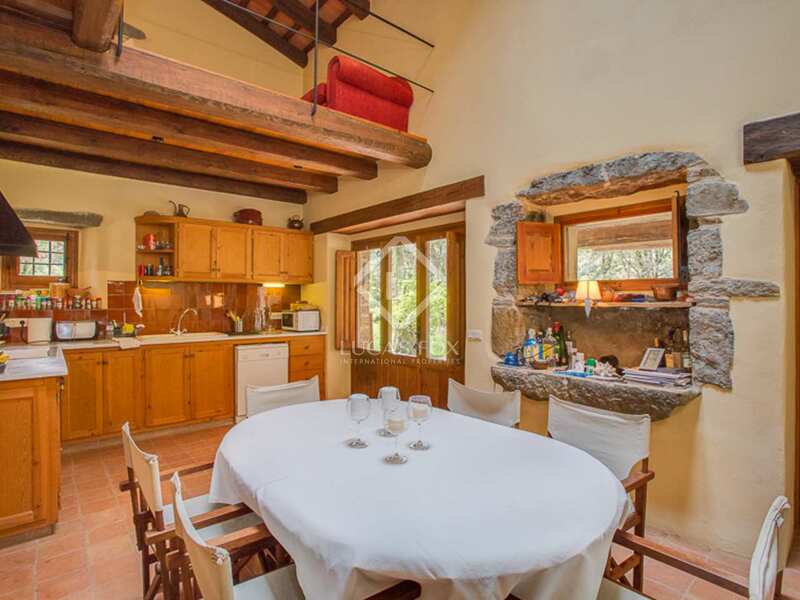 In a picturesque natural setting, surrounded by forests and near a passing brook, we find this beautiful old stone masia of 258 m² that dates back to the eighteenth century and was lovingly restored and renovated in 1997 by its current owners. 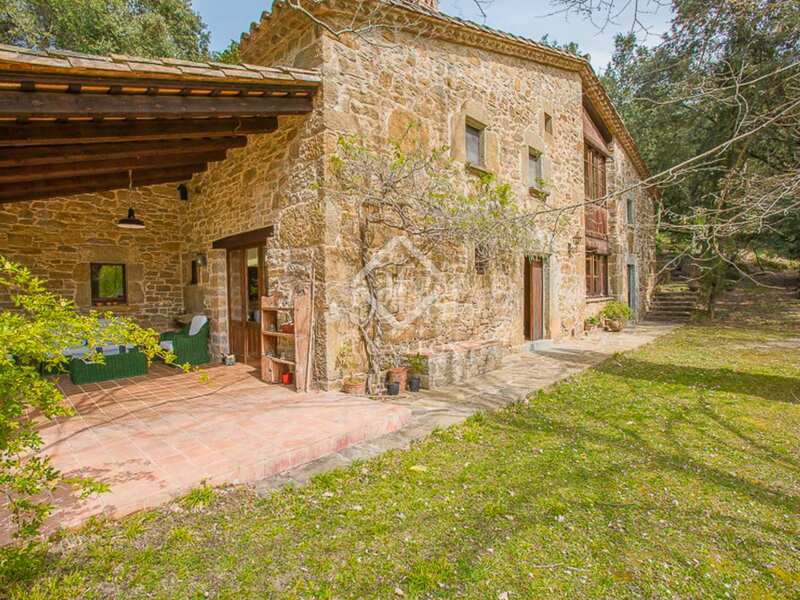 The location is ideal for those looking for all the peace and beauty of the countryside with easy access to the amenities of the town of Canet d'Adri and just 30 minutes from Girona City and golf resort. 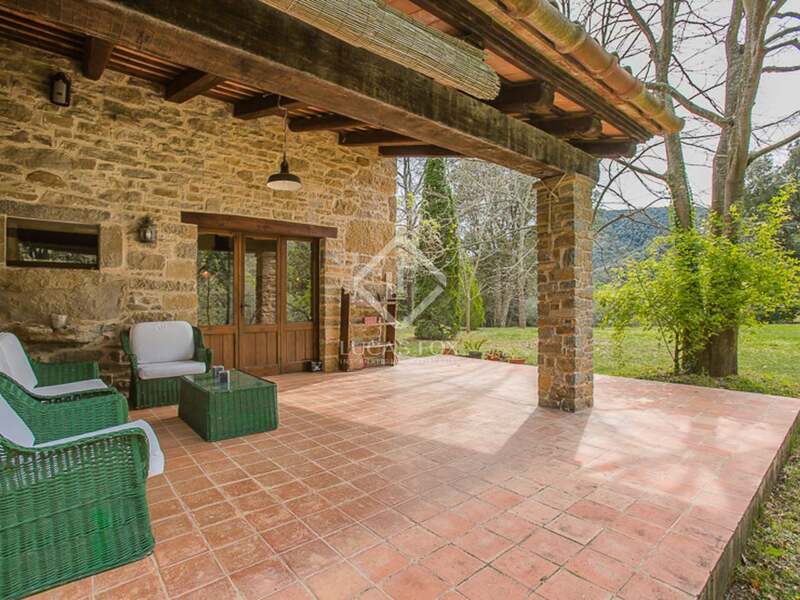 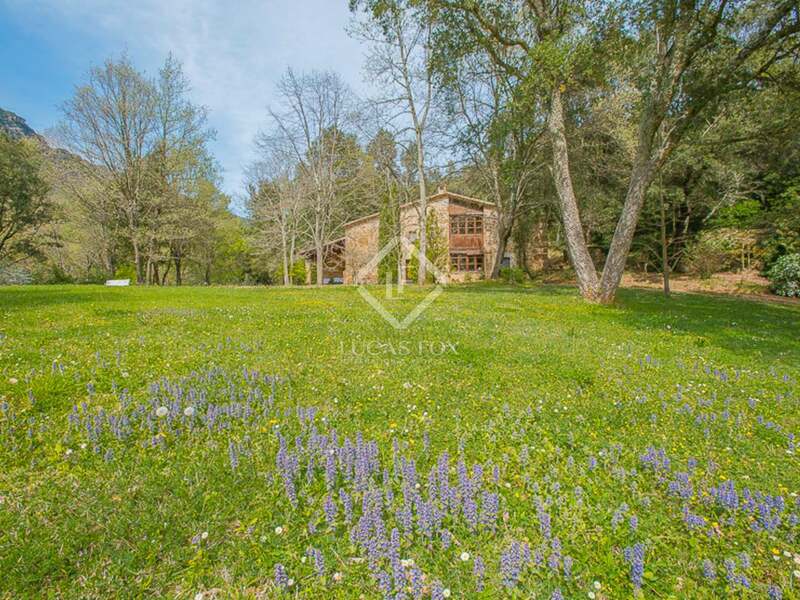 We approach this country house via a long drive and see that it is surrounded by a wonderful, flat, green garden of some 5,000 m² with breathtaking views of the countryside. 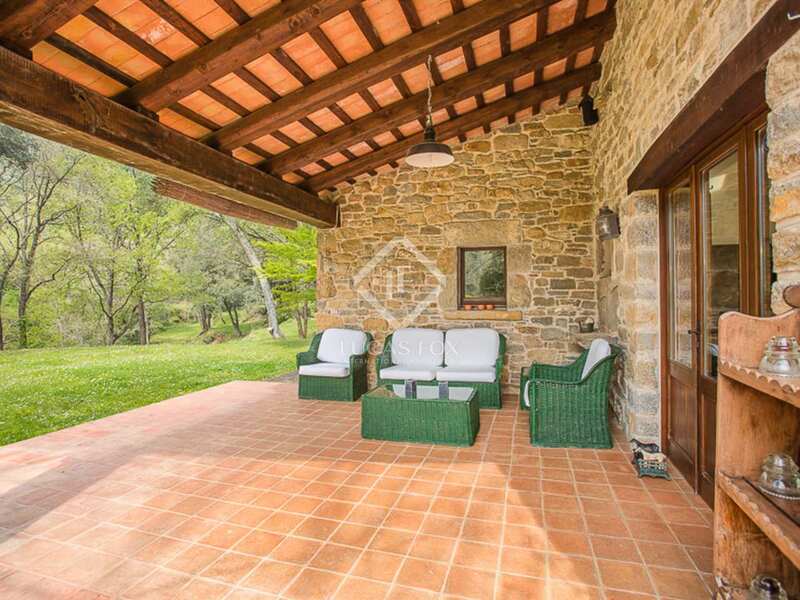 The 2-storey house has a large porch on one side which is ideal for shaded dining and relaxation. 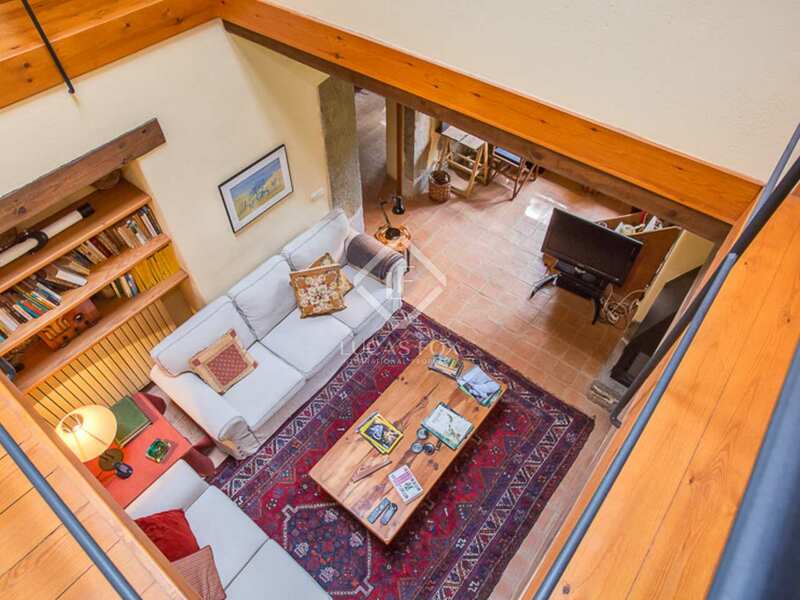 On the ground floor of the house we find the spacious kitchen with a pantry and direct access to the porch and garden, followed by the cosy living room with an extra large fireplace and a large en-suite bedroom, also with access to the garden. 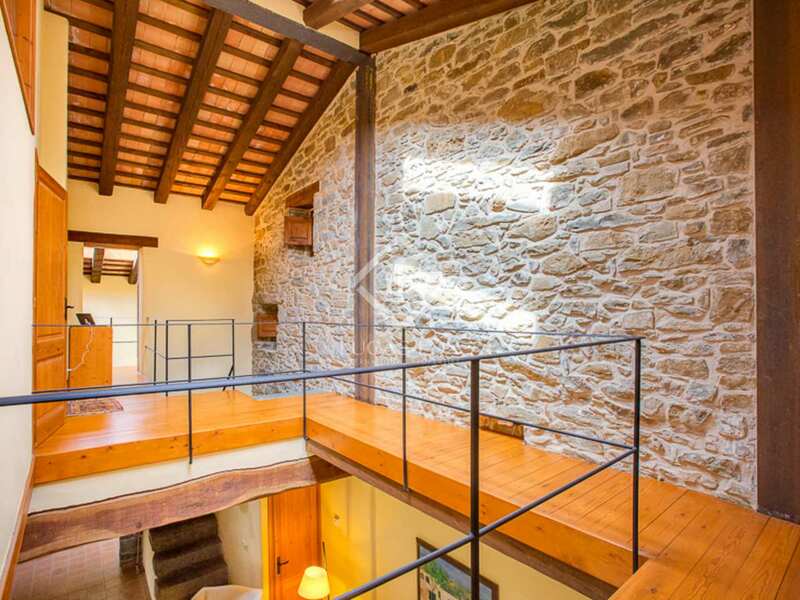 The original stone staircase takes us up to the first floor where we find a mezzanine which is currently used as a reading and study area receiving natural light through a skylight. 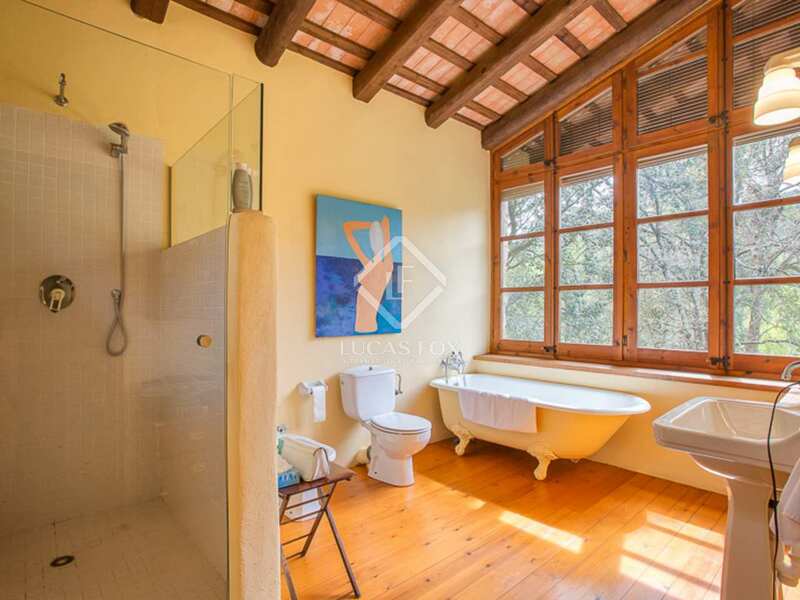 This floor offers the remaining 2 bedrooms with en-suite bathrooms and views of the forest and garden. 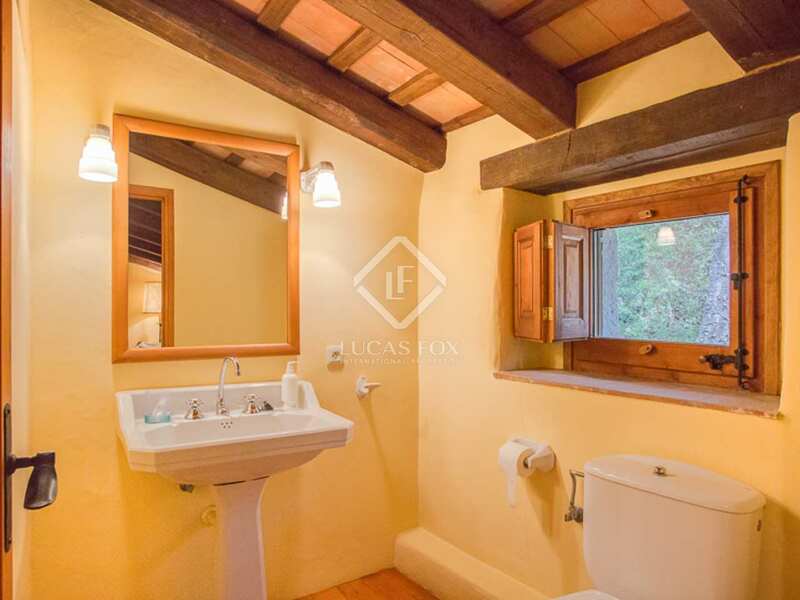 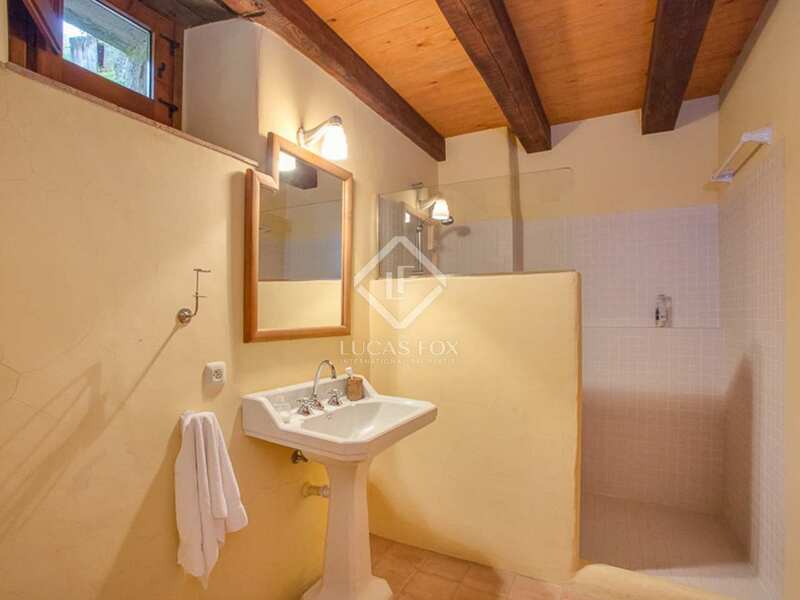 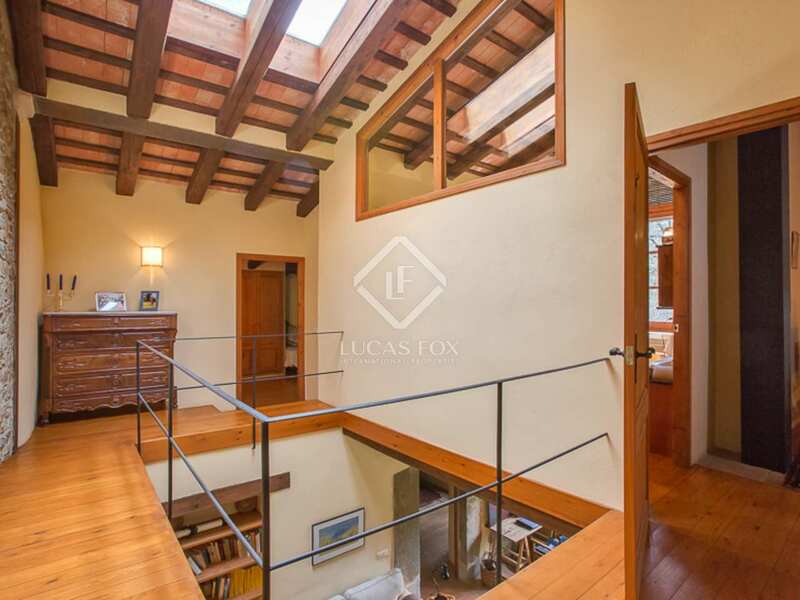 Sloping ceilings with wooden beams and wooden flooring are complimented by warm, soft lighting and decorative features such as the free-standing bathtub, creating a delightful rustic atmosphere. 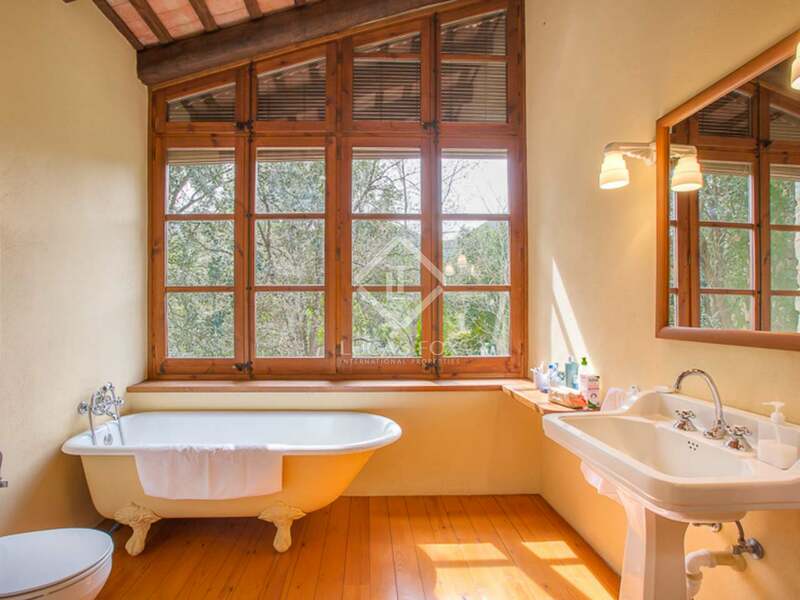 The renovation has been carried out maintaining original features and combining them with modern elements, with stunning results. 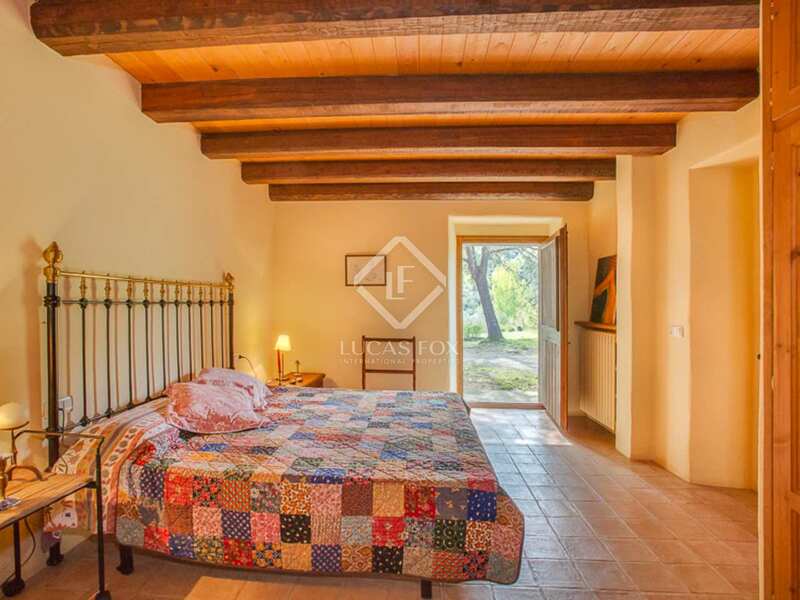 The property is being sold with furniture included. 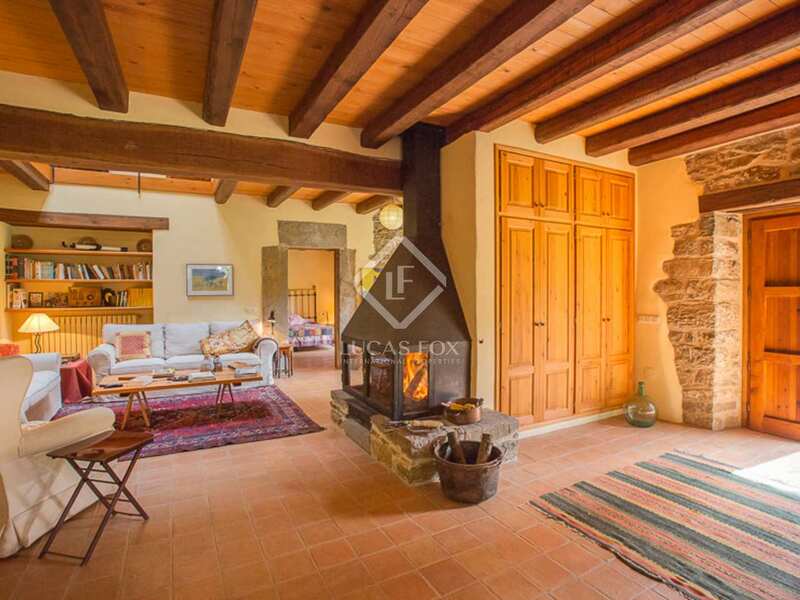 It benefits from a heating system with radiators in every room and the large fireplace in the living room provides warmth to the top floor. 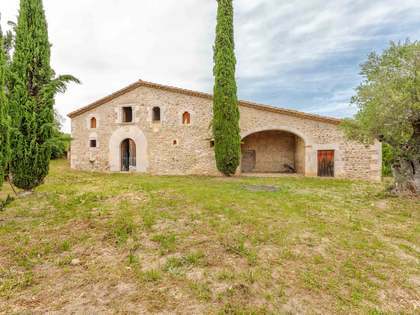 An ideal property for anyone looking for a home in the country, whether as a permanent residence or a place to escape the routine during the holidays. 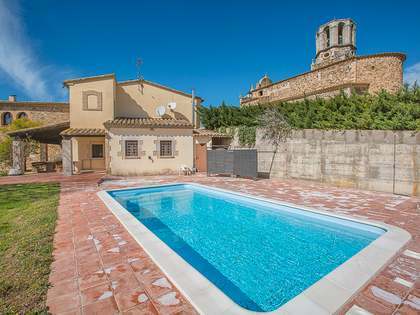 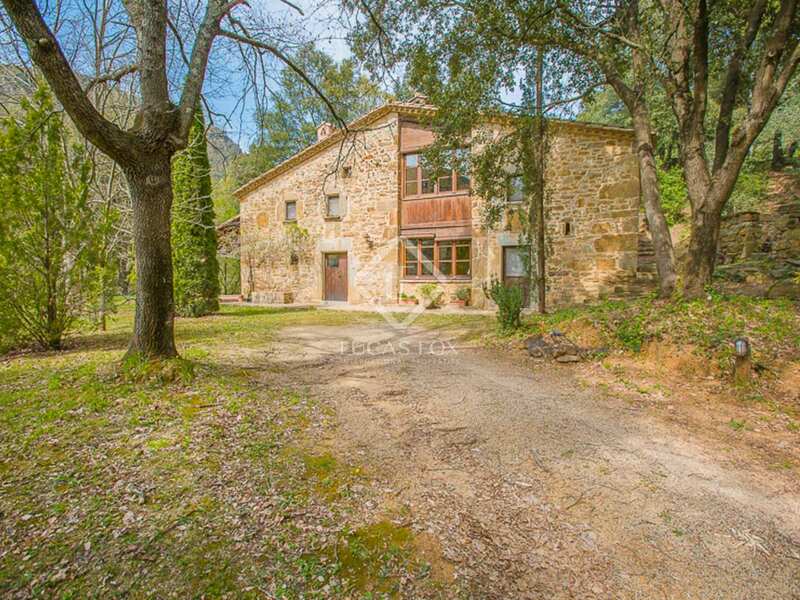 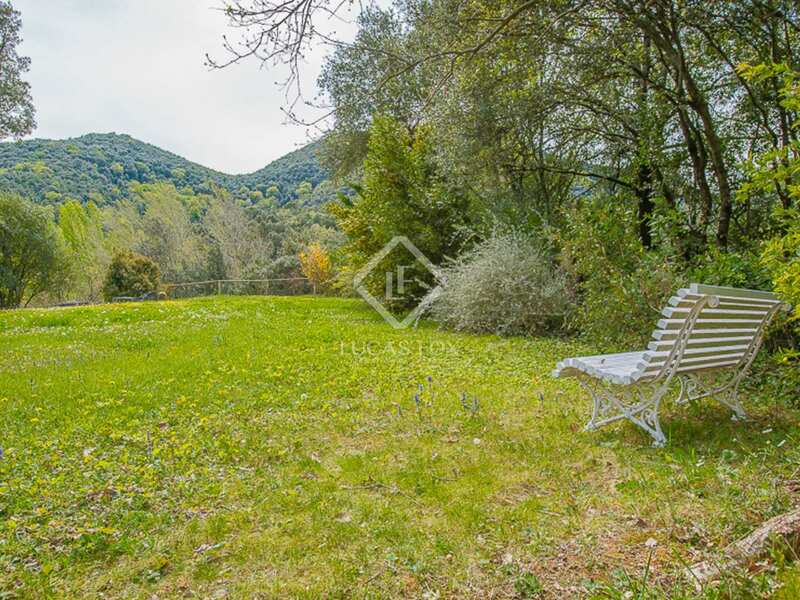 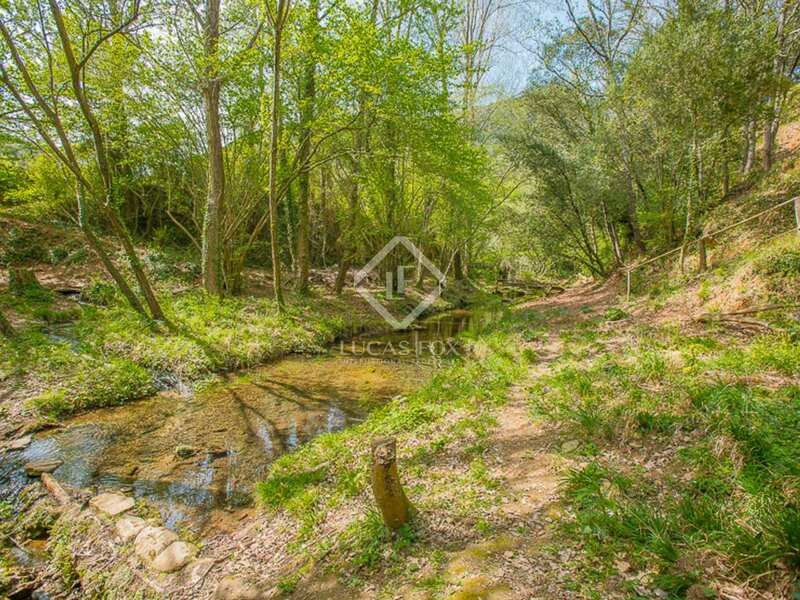 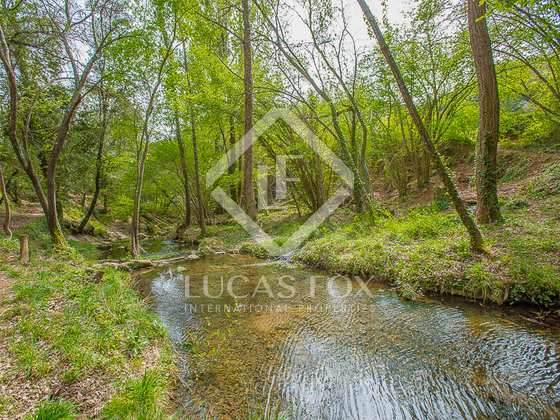 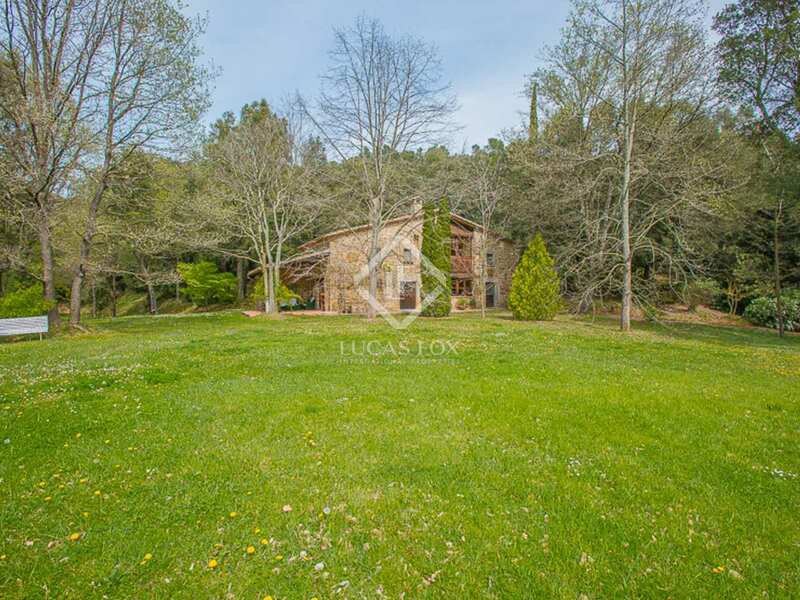 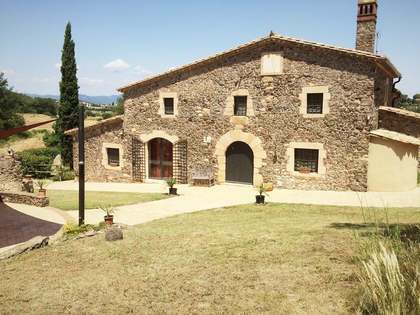 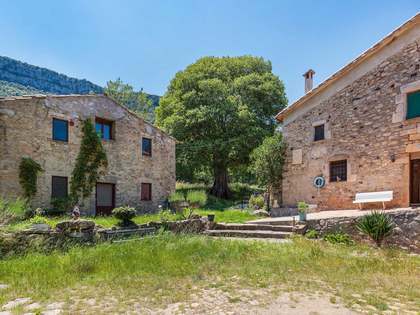 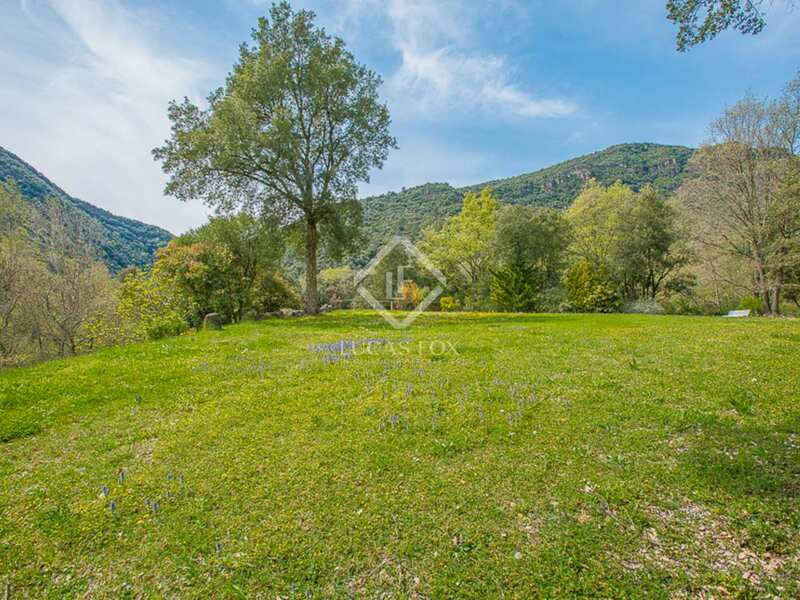 Historic property in a picturesque natural setting near the village of Canet d'Adri and a 30-minute drive from Girona City and Girona Golf Resort.